A symphony is a multi-movement form, usually tonal with the first movement in sonata allegro form. While originating as a suite of pieces for orchestra, as the tone palette of the organ grew, it migrated to a form for the newer romantic/symphonic organ. Though the very first organ symphony was written by German composer Wilhelm Valentin Volckmar in 1867, the genre is mainly associated with French romanticism. César Franck wrote what is considered to be the first French organ symphony in his Grand pièce symphonique, and the composers Charles-Marie Widor, who wrote ten organ symphonies, and his pupil Louis Vierne, who wrote six, continued to cultivate the genre. The Symphonie-Passion of Marcel Dupré is the reconstruction of an improvisation by Dupré that he made at Wanamaker’s in Philadelphia on 8 December 1921. While classical symphonies (and those written compositions) developed original material, it seems most improvised symphonies follow the pattern of Dupré in utilizing chants, chorales, or other themes known to the audience. Posted in Form. Tagged César Franck, Charles-Marie Widor, form, Jean-Baptiste Dupont, La Madeleine, Louis Vierne, Marcel Dupre, Nigel Allcoat, Noël Hazebroucq, Otto Maria Krämer, Salve Regina, Symphonie-Passion, Symphony, Wilhelm Valentin Volckmar. 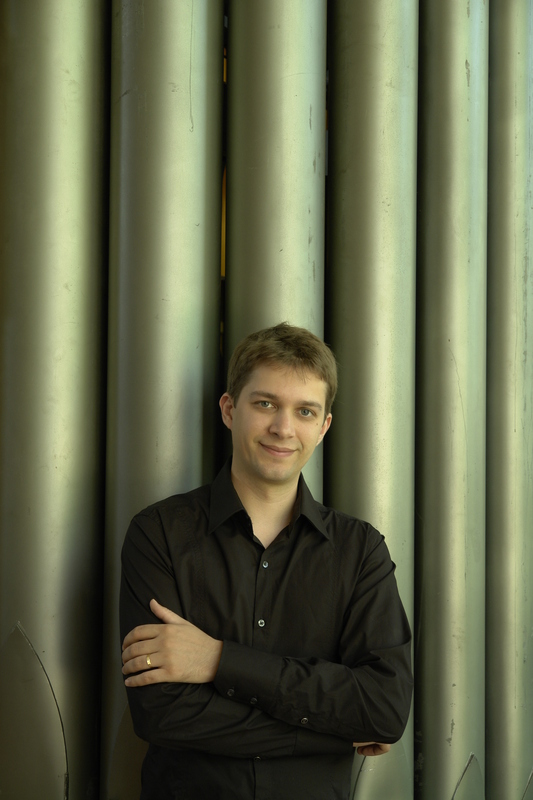 Born in 1979, Jean-Baptiste Dupont began his musical studies at the piano. He discovered the organ later, at the age of 12 and began organ studies at the Institute of Sacred Music of Toulouse. He graduated with distinction from the organ departement at the Conservatoire in Toulouse. His teachers have included Michel Bouvard, Louis Robilliard, Philippe Lefebvre, Jan Willem Jansen and Thérèse Dussaut. 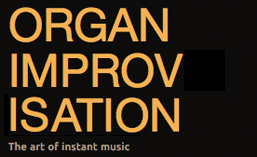 He received the 1st prize (improvisation) in St-Albans international competition in July 2009. In April 2012, Jean-Baptiste Dupont became the organist of the Bordeaux Cathedral. Posted in Organist. Tagged Allegro, Artwork, Ave maris stella, Bordeaux, Germany, Jan Willem Jansen, Jean-Baptiste Dupont, Louis Robilliard, M.K.Churlionis, Michel Bouvard, New York, Painting, Philippe Lefebvre, St. John the Divine, Symphony, Thérèse Dussaut, Toulouse, YouTube. 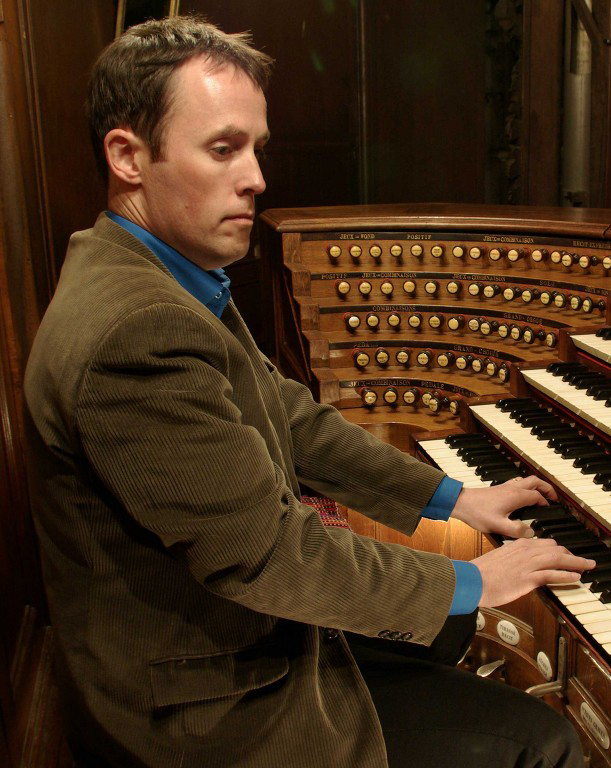 Equally renowned as an interpreter and improviser, Dr. Anthony Hammond studied the organ in England with Roger Fisher and David Briggs, and in Paris with Dr. Naji Hakim. A graduate of the University of Bristol, he held posts at Chester Cathedral and St. Mary Redcliffe Church, Bristol, before spending a period as Sub-Organist at Bristol Cathedral. Today he is the Director of Music and Organist of Cirencester Parish Church. A Fellow of the Royal College of Organists and winner of the Dixon Prize for Improvisation, his passion for French organ music and improvisation led to doctoral research into the career and technique of legendary French organist and improviser Pierre Cochereau, for which he was awarded his Ph.D. in July 2010. He has reconstructed a Symphony improvised in 1972 by Pierre Cochereau at St. Mary’s Cathedral, San Francisco, and the score is now published by Dr. J. Butz Musikverlag. This piece is included on his recording A Phenomenon Without Equal . Contains reconstructed improvisations by Louis Vierne, Marcel Dupré, Charles Tournemire, and Pierre Cochereau played by Anthony Hammond. Posted in Organist. Tagged Anthony Hammond, Boston, Bradford Cathedral, Bristol Cathedral, Chester Cathedral, Cirencester, Dixon Prize, Dr. J. Butz Musikverlag, First Church of Christ, Louis Vierne, Mother Church, Pange lingua, Pierre Cochereau, Royal College of Organists, Scientist, St. Mary Redcliffe Church, Symphony, University of Bristol. 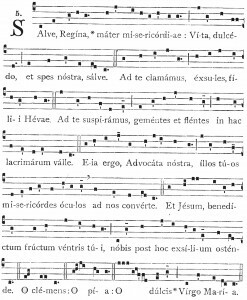 Salve Regina, also known as Hail Holy Queen, is one of four Marian chant antiphons sung at different seasons within the Christian liturgical calendar of the Roman Catholic Church. 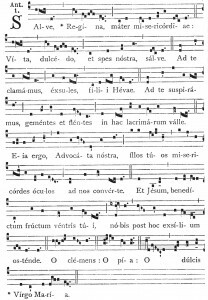 It is traditionally sung at compline in the time from the Saturday before Trinity Sunday until the Friday before the first Sunday of Advent. It is also the final prayer of the rosary. 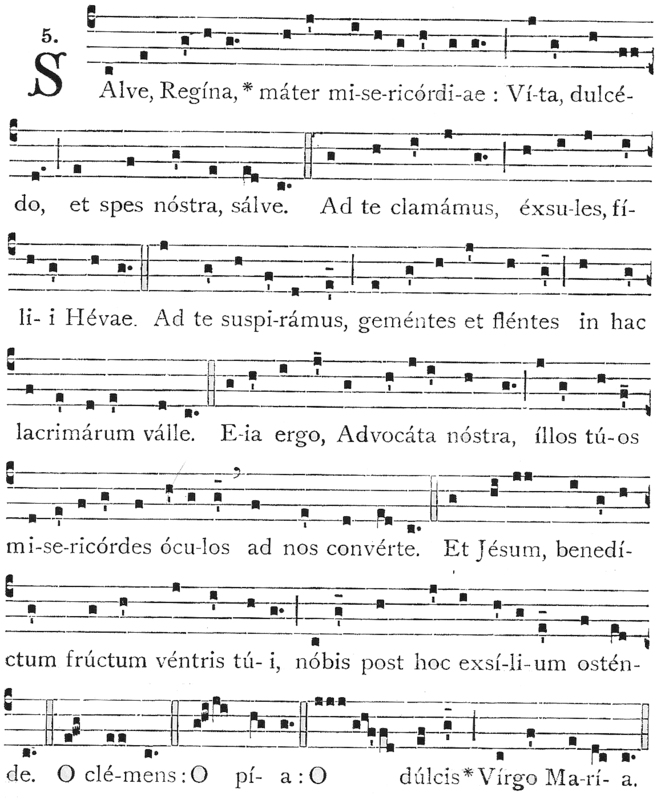 There are two typical chant versions referred to as the solemn tone (above) and the simple tone (below). 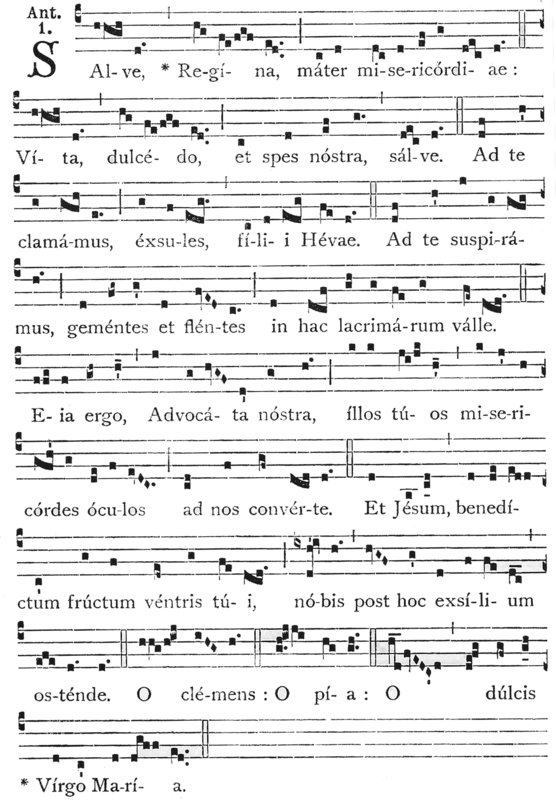 The solemn chant is in the Dorian mode while the simple chant is in the Lydian mode. Posted in Themes. Tagged chant, Dorian Mode, Lydian Mode, Modal, Nigel Allcoat, Passacaglia, Plein jeu, Salve Regina, Scherzo, Symphony, theme, William Porter.